Milwaukee Daily Photo: Oh Hail! 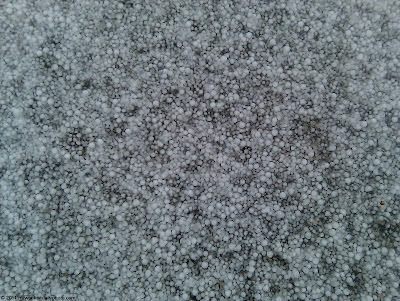 A severe thunderstorm rolled through the area mid-day today, and it began to hail - a LOT. I pulled off the road into a parking ramp just in case it got worse. 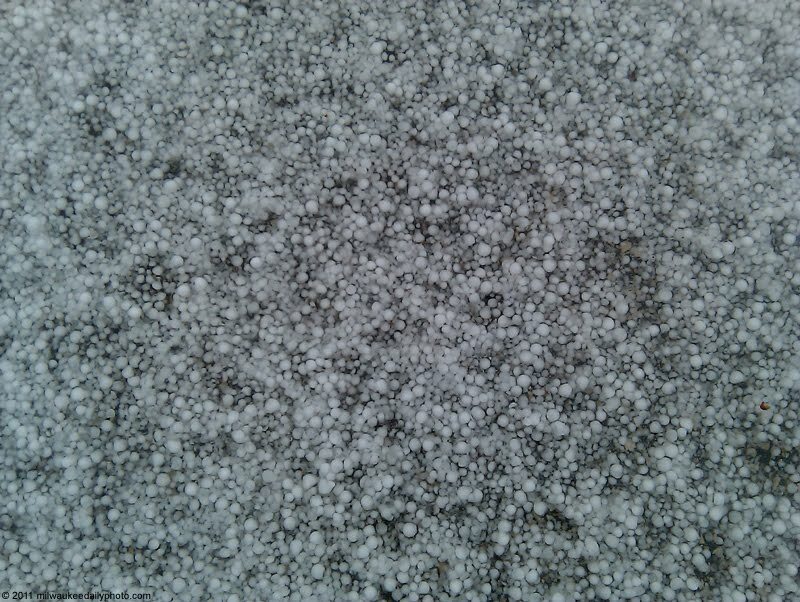 After things let up, I got back on the road to my destination, and there was about a half-inch of ice pellets, which were larger than peas, but smaller than marbles. Today's photo was taken in a parking lot, where the rain and hail mixed to make a slippery ride.